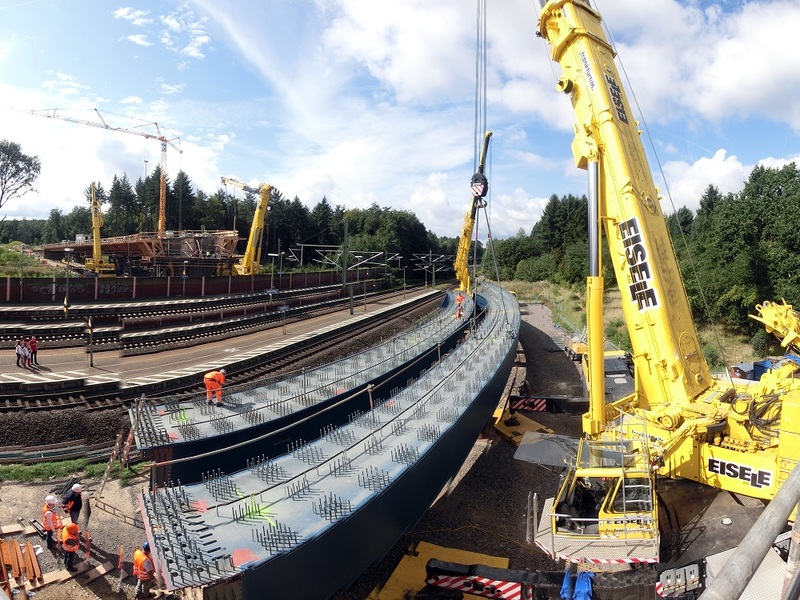 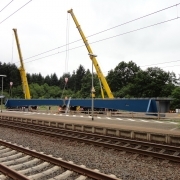 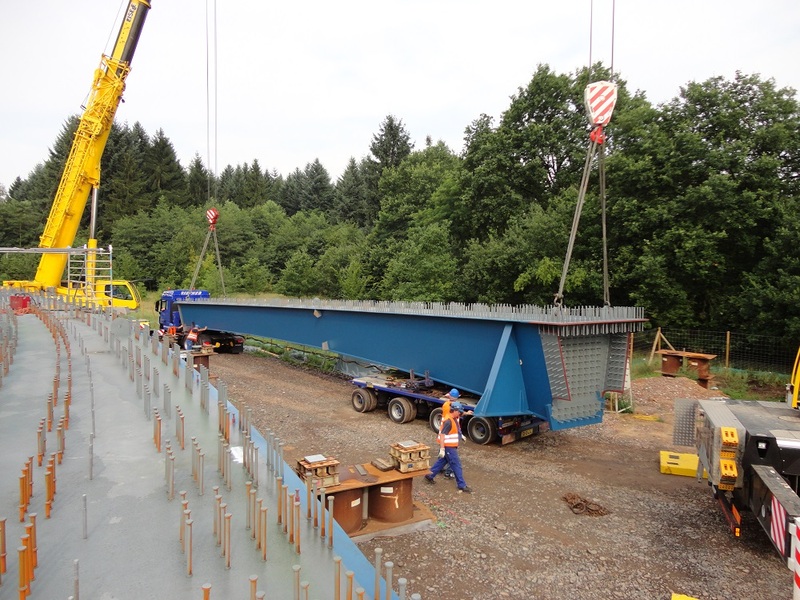 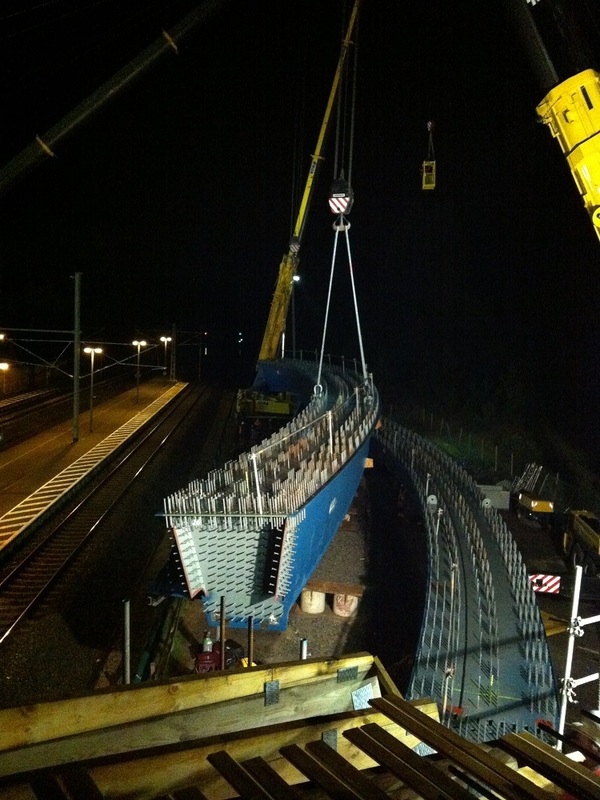 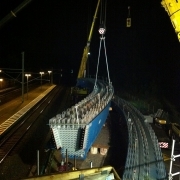 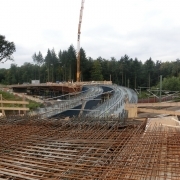 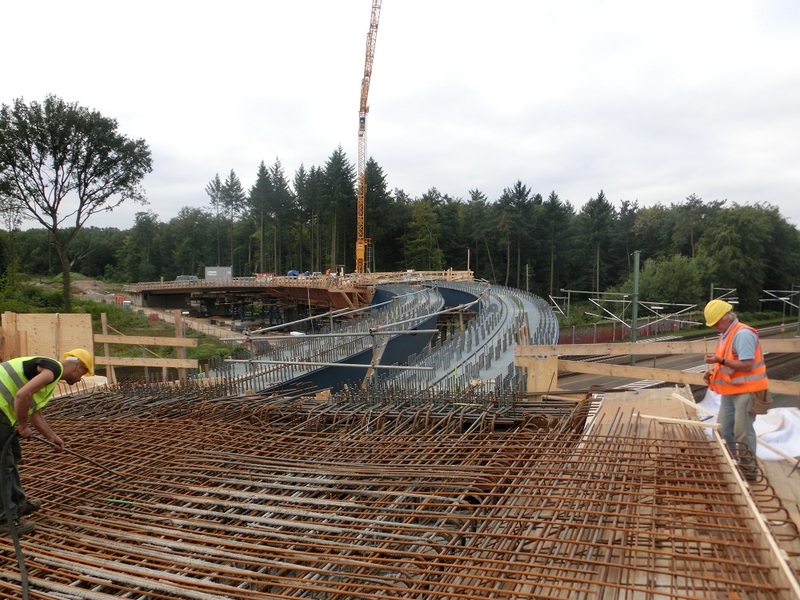 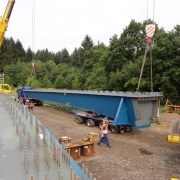 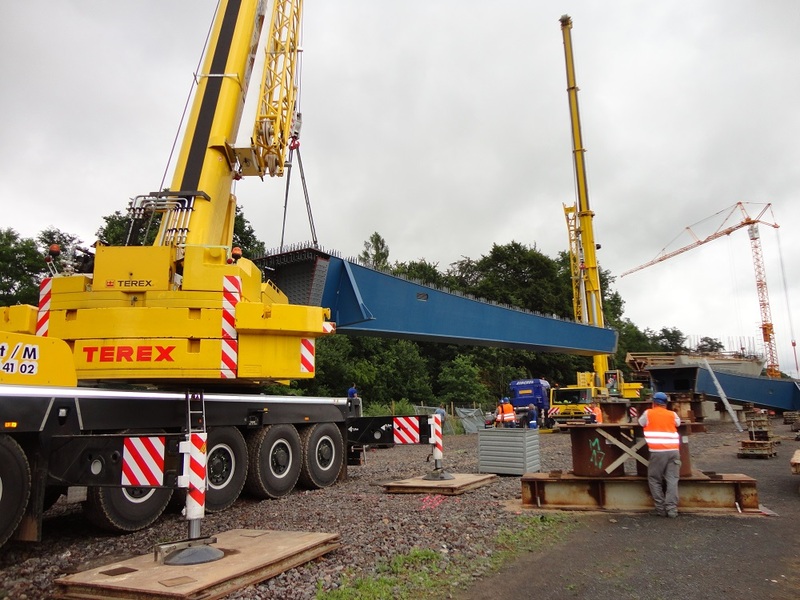 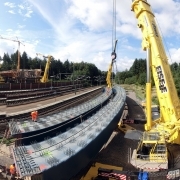 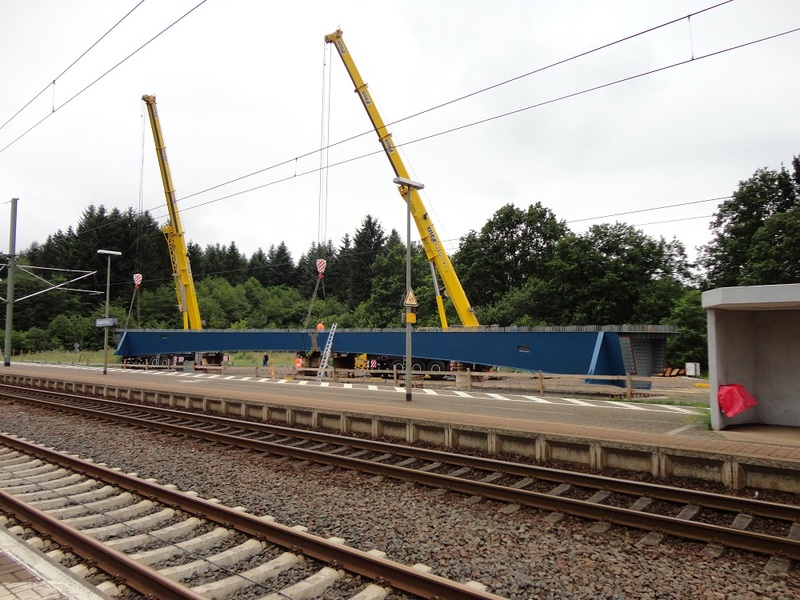 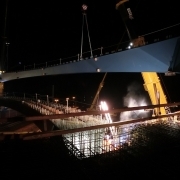 Removal of the K903 Niedermittlau railway overpass and construction of a new steel composite bridge as a railway overpass in Hasselroth. 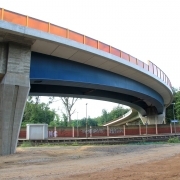 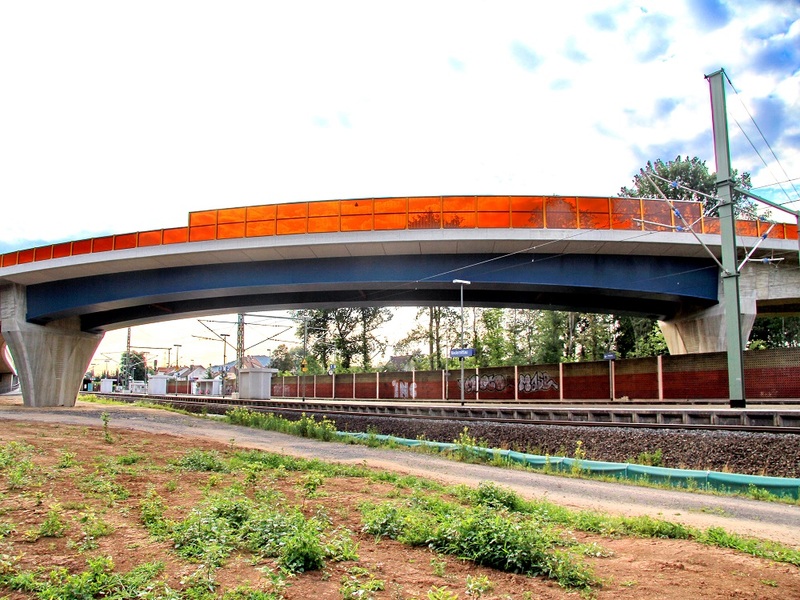 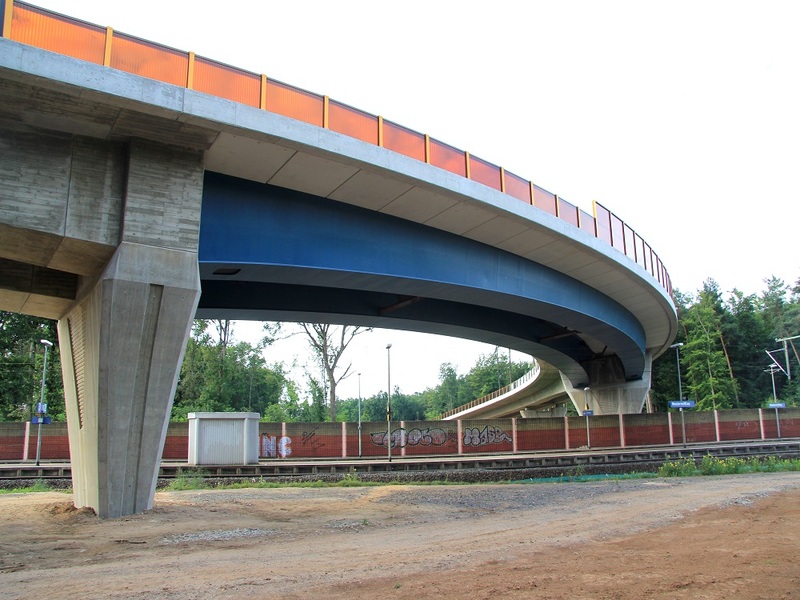 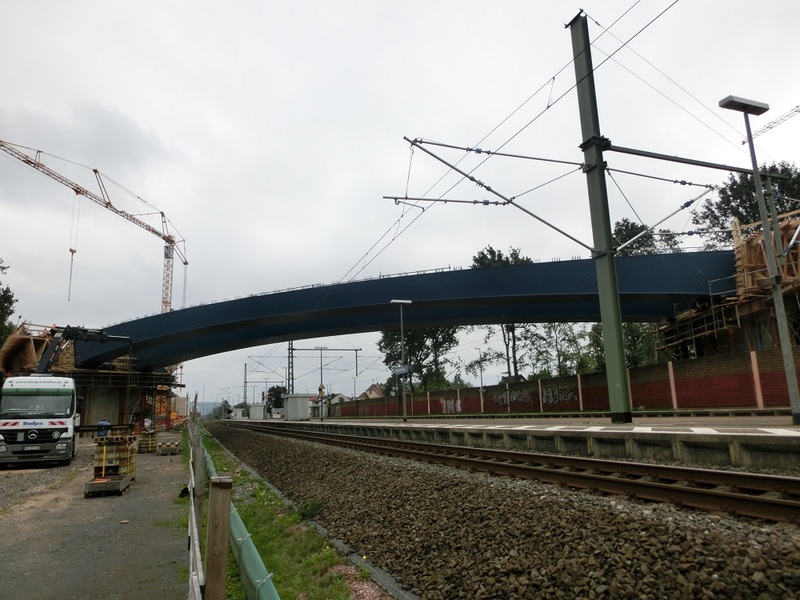 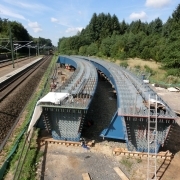 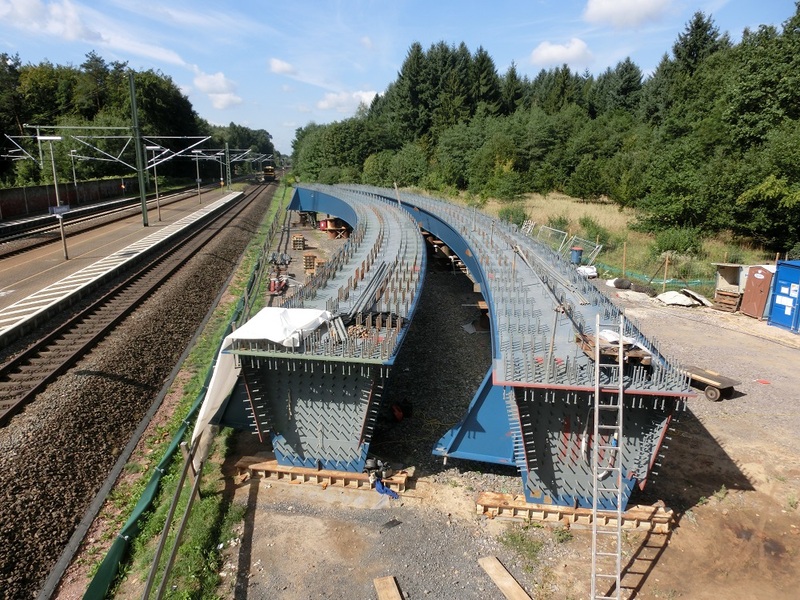 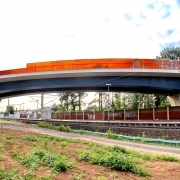 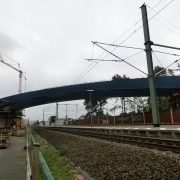 The bridge over the railway line consists of two curved steel composite box girders which are clamped into the prestressed concrete ramp. 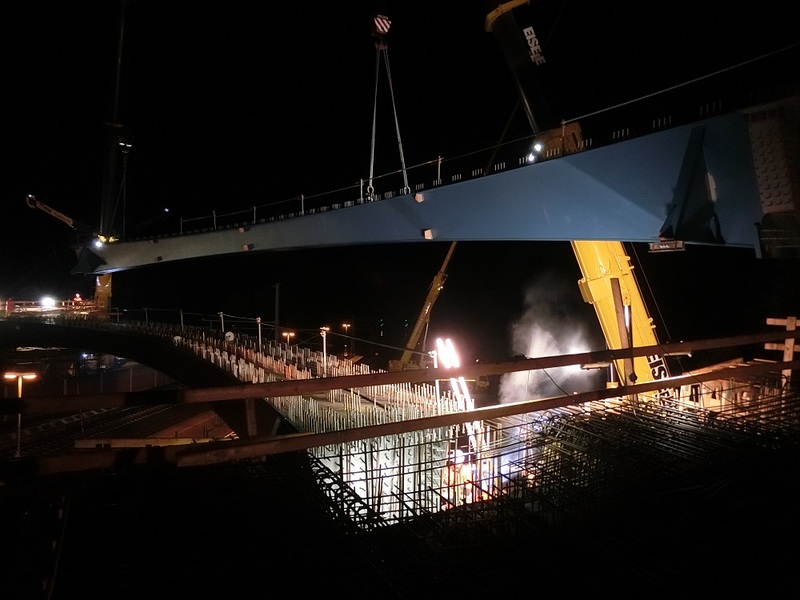 The bridge sections are delivered to the pre-assembly area, welded into large parts and hoisted into place while traffic is stopped.